Rice bags – a practical proposal for those who basically can't cook grits. Because this type of packaged products does not need to interfere in the process of cooking, is not required to constantly monitor him, he does not stick to the pan, and cooked rice always turns out crumbly and tasty. Shake the bag with rice. Usually, one package equals one serving of rice. Usually in bags for cooking it is available in white long-grain parboiled brown and parboiled rice, at least – round grain parboiled wheat. Boil plenty of water in a saucepan with a thick bottom, generously sunflower. 100-gram bag is supposed to at least 1 liter of water. Place the cooking bags with the rice in the water without opening them and not piercing. Small holes over the entire area of the package allow cereal to absorb the required volume of liquid in the cooking process. Boiling water should cover the bags completely. Keep in mind that packaged cereals before cooking rinse is not required – they are already cleaned and handled properly. Cook the rice, tightly closed pan, over medium heat until fully cooked: white parboiled rice, it is sufficient to boil for 12-15 minutes, brown - 22-25 minutes. Remove the bag with the rice with a fork for a special loop on one of its sides provided for this purpose. Let the water drain out. Open the brew package, by cutting him with a knife on the line of nasechek. 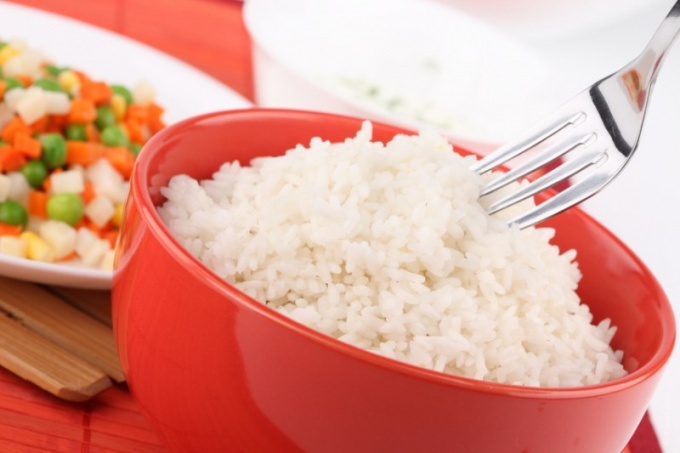 Place the rice on a plate and add butter to taste to serve it as a side dish, or use for cooking special recipes. Cooked rice turns out crumbly and delicious. Cooking in the bags ensures no adhesion, no sticking of the product. And after the cooking pot is enough to rinse. The rice in cooking bags manufacturers "improved" offering and vegetable, and mushroom supplements. In the process of preparation of such natural additives like dried vegetables, recover fully and have the usual taste. In packaged rice, as well as in ordinary placer cereal, you will not find preservatives, colorings and flavor enhancers.